Rubix Shuttles and Transfers offer a wide variety of luxury coach hire transport solutions for any large scale transport needs co-ordinating all your transport requirements and ensuring safety and comfort. We offer a wide range of 13 to 60 seater semi luxury, luxury and super luxury coaches for any social or corporate event. Send us your request and we will offer advice on the best option for the service you require and will quote you accordingly. 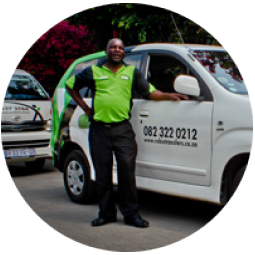 Rubix works with quality coach hire suppliers in South Africa, to ensure the highest level of quality service at a competitive price. In addition to full service co-ordination, we are committed to offering fully inclusive pricing with no hidden extras as part of our service offering. PLEASE NOTE: Rubix Group CC acts as an intermediary between the client and our preferred coach hire service providers (the company/s providing the coach/es) and as such our terms and conditions apply to the cost inclusions of the pre-paid service costs as well as the service inclusions and exclusions as stipulated on the Rubix quote. You will not need to sign a separate agreement with the coach hire service provider, and by acceptance of the Rubix Coach quote, you accept and agree to the service being provided as per the written itinerary supplied by you to Rubix Group CC. Any changes need to be advised in writing at least 12 hours prior to the service taking place to ensure changes are timeously briefed to our preferred coach hire supplier/s. Rubix Group CC does not accept responsibility for non delivery / incorrect delivery of service where the client has failed to provide the correct / enough information on the itinerary up front, Or where changes have not been made timeously after the initial booking. 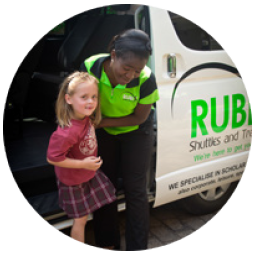 Rubix Shuttles and Transfers specialise in scholar transport and takes care of your children whether it is to or from school, extra-mural activities or special events, offering priceless peace of mind to parents. Rubix Shuttles & Transfers can handle all your transportation needs from airport transfers to your hotel, sporting & cultural events, to taking a big group out to dinner or a concert in style. Enter your details and stay updated. How convenient! By registering on our mailing list, your name and email address will be added to our database and you will receive email messages containing information of commercial or promotional nature concerning this Site. We do not share this information with any 3rd Party. You will be requested to double opt-in.